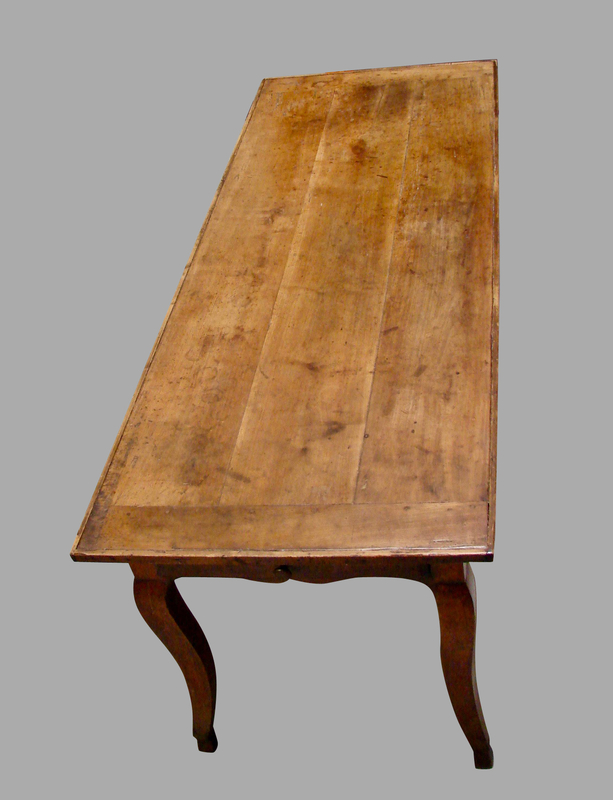 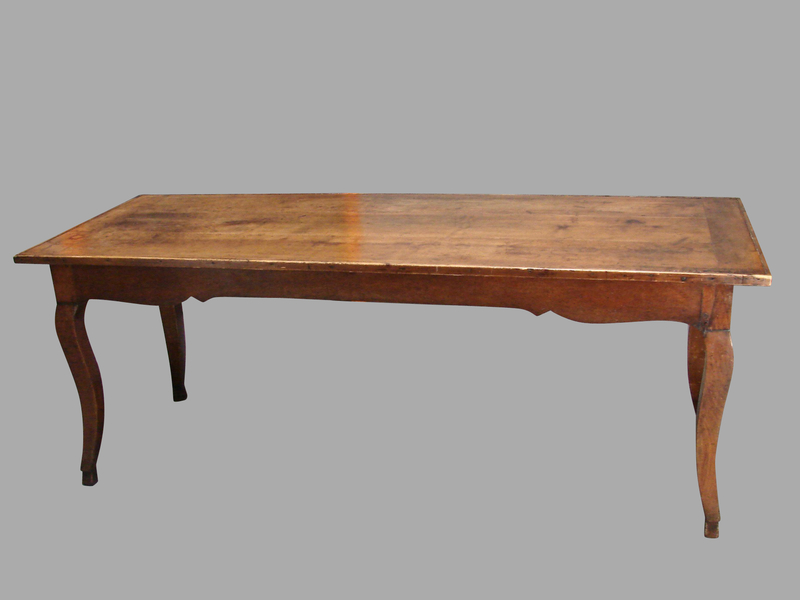 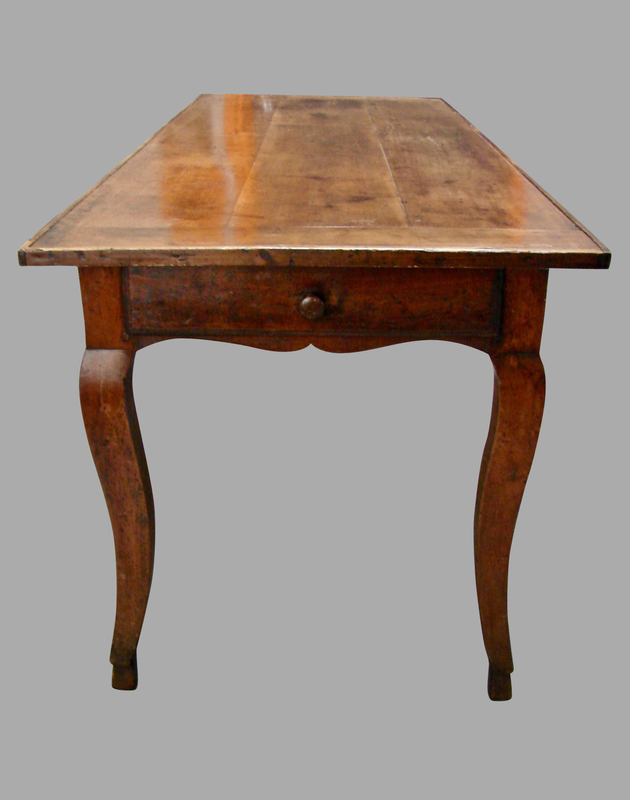 A good French fruitwood farm table with a breadboard top and scalloped apron resting on cabriole legs ending in hoof feet. 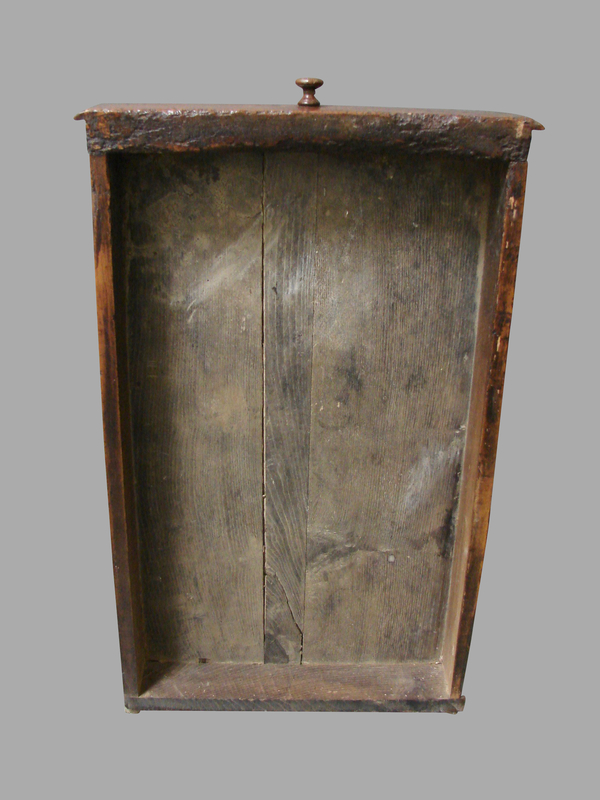 The piece has peg construction throughout, with a single long cutlery drawer at one end. 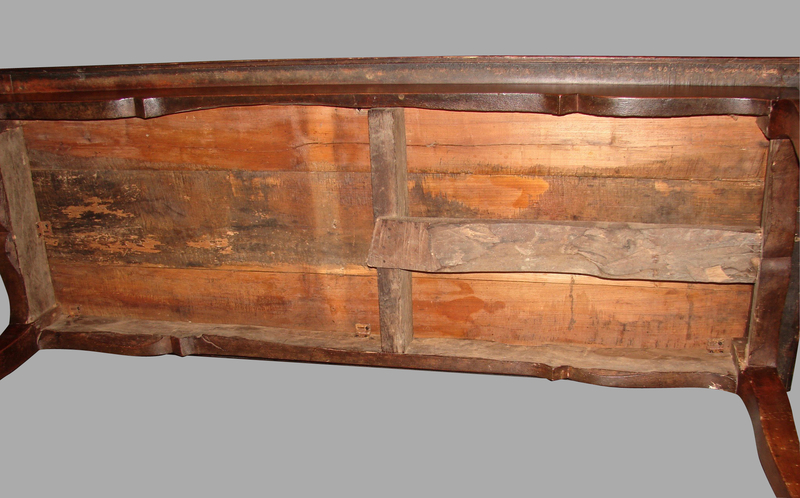 Lovely old color and patina, circa 1800-1830. 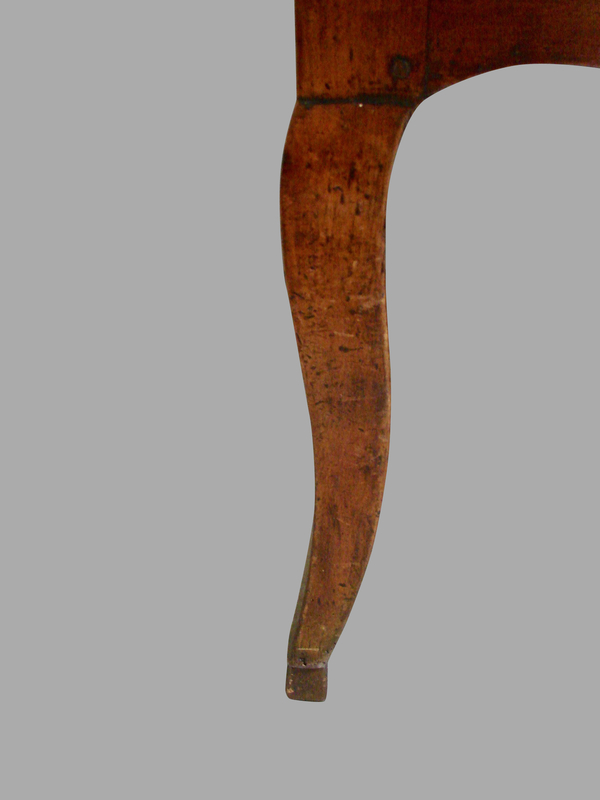 H. 30" W. 80" D. 30"